In recent months there has been a greater focus on the use of ceramics materials for AM than ever before. 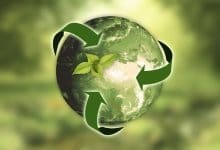 This is due to a series of converging trends: on one side several AM technologies are now able to process advanced ceramics materials, on the other, there are now low-cost technologies that are able to use ceramic materials as an ideal material for end-use, biocompatible and even food-compatible products. 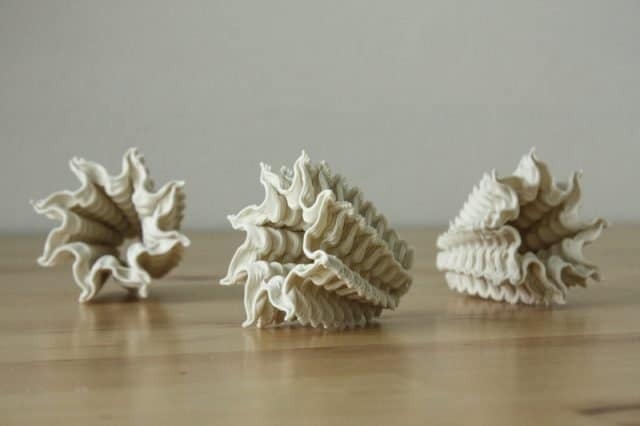 Technical ceramics are able to provide ideal mechanical properties and 3D printing allows for shaping ceramic parts in complex, high-resolution geometries that have never been possible in the past. 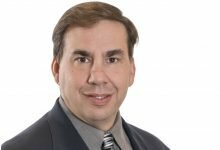 As larger industrial groups become directly involved in ceramic 3D printing technologies, SmarTech Publishing – a leading market forecast firm for the AM industry – is forecasting the Ceramics AM market – including hardware, software, materials and applications (both technical and traditional) to top $3.1 billion by 2027, with rapid adoption in aerospace, medical, industrial manufacturing and even consumer products. 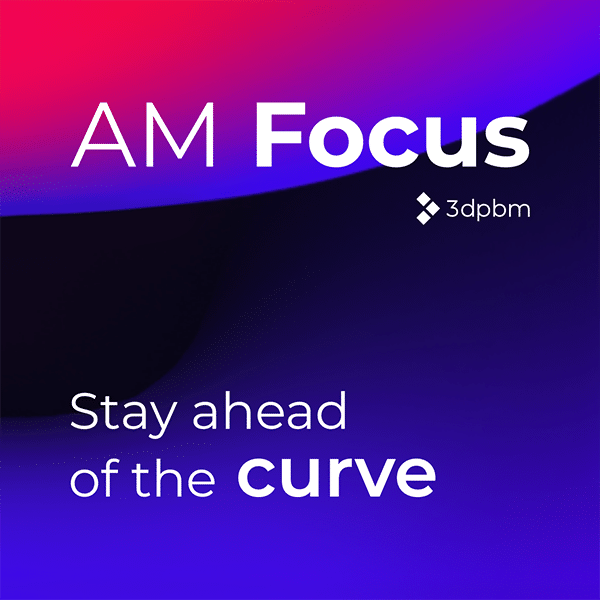 For these reasons, 3DPMN launched the Ceramics AM Industry Focus this month, with a dedicated Focus Section, specifically to cover all the technologies, applications and market evolutions around the additive manufacturing of ceramics. 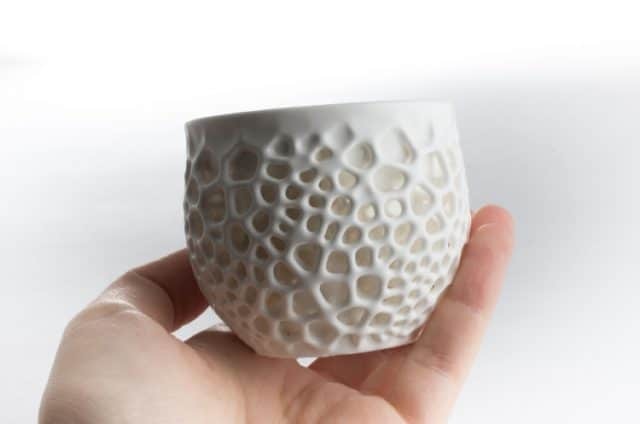 In the following two-part article, Rachel Park will explore the latest evolutions in the world of ceramics 3D printing, in terms of leading processes and major new applications. Ceramics are deeply embedded as a functional material in human history, dating back to Asia as early as 12,000 BC in clay forms for pots. Industrial ceramic materials date back to the start of the 20th Century, and the 1st industrial revolution when ceramics were used more widely for indoor plumbing, sewer tiles, and bathroom and kitchen fixtures. As a basic definition, ceramic materials are inorganic, non-solid-metallic materials and, typically at least 30% crystalline. Naturally-occurring clay has traditionally been the foundational material of ceramic materials and remains dominant, but it is not an essential requirement for all ceramic materials today. Structural Ceramics — used in building construction for bricks, pipes and roof/floor tiles etc. Refractory Ceramics — used for kiln linings and crucibles for making steel and glass. 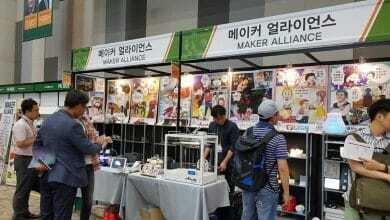 Whitewares — including tableware, decorative tiles, art objects and bathroom furniture (toilets/sinks etc). 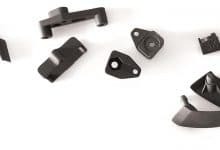 Technical Ceramics —advanced ceramic materials, which exhibit high mechanical, chemical, thermal and electrical resistance, and are typically used for space, auto, military and medical applications; generally, do not contain clay. 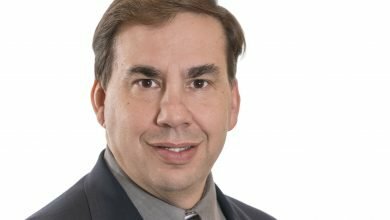 Within the field of 3D printing and additive manufacturing, ceramic materials — as compared with polymer and metal material categories — are still playing catch up. 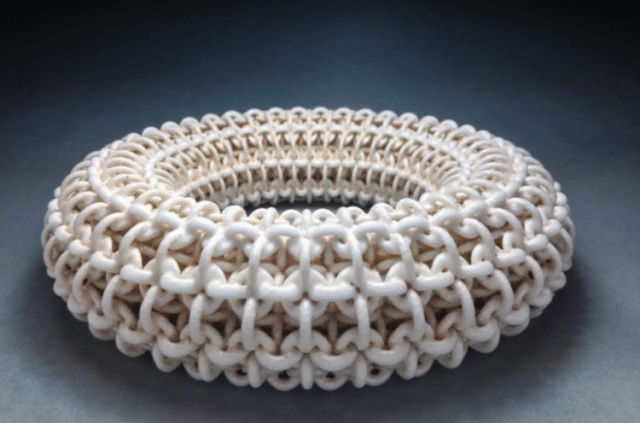 There has been and continues to be, significant research and increasing commercial activity around ceramic 3D printing but it is not yet as prolific as the other material categories. 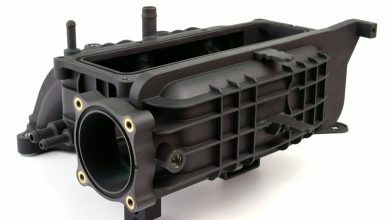 The particular thing to note with ceramic materials utilized for 3D printing is that post-build, the parts that come off the 3D printer need to undergo the same secondary processes as any ceramic part produced using traditional methods of production — namely firing (also called sintering) and glazing (dependent on application). 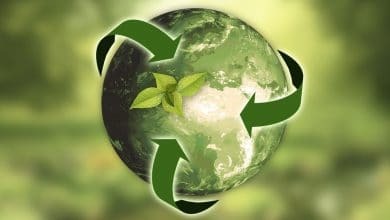 The 3D printing stage of the overall process is about producing the desired shape of the part, which, due to the nature of the ceramic materials, remains in a fragile state — called the green part. 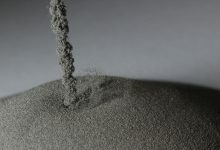 The secondary process of sintering or firing, typically at temperatures greater than 800°C, is essentially where the “strength” is added to the part and the final properties of the material are determined. 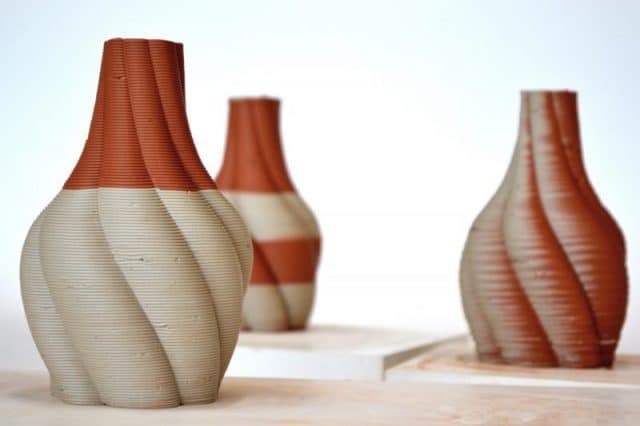 The ability to process ceramic materials brings the advantage of being able to design — and physically build — products and parts with complexities that are challenging, or impossible, with traditional methods of manufacture. 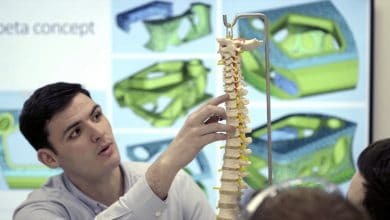 As stated, 3D printing with ceramics has generated increasing research and new commercial entities in the last decade with hardware and process development, material development, application development, as well as the emergence of specialized services offering commercially available and proprietary ceramic 3D printing services, and sometimes a combination thereof. 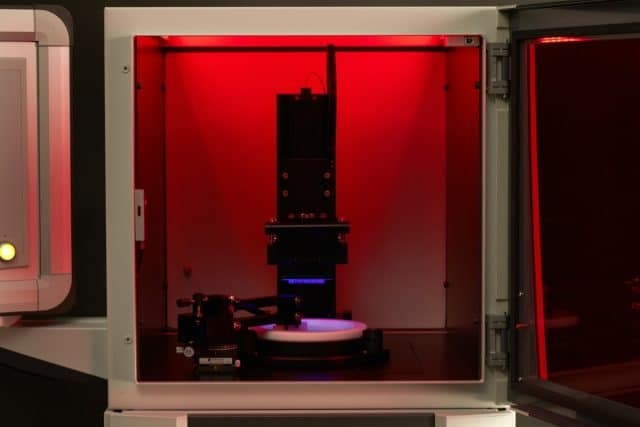 There are three dominant 3D printing processes that can currently accommodate ceramic materials, namely binder jetting, material extrusion, and vat photopolymerization methods, namely stereolithography (SLA) and Digital Light Processing (DLP). 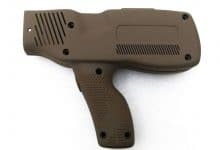 Dominant 3D printing hardware vendors for binder jetting systems that can process industrial (technical) ceramic materials include 3D Systems (by way of its previous acquisition of ZCorporation, and subsequent development); Voxeljet and ExOne. This process depends on a powder bed of technical ceramic material and a liquid binder material that selectively binds the powder. DG Shape (previously operating under Roland DG) is another hardware vendor that is currently developing a binder jetting system for 3D printing ceramic materials. 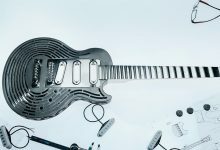 A prototype version was on show at formnext last year. 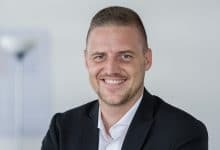 Another company that has recently emerged with a commercial additive manufacturing proposition based on the binder jetting process is Johnson Matthey (JM). 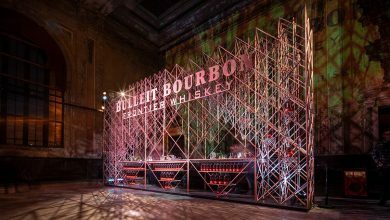 Celebrating its 200th anniversary this year, JM’s approach has resulted from user evolution. 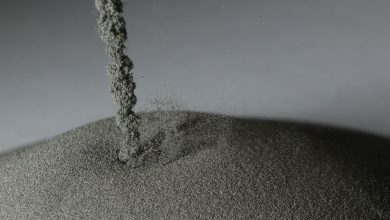 As a long time user of 3D printing technology for prototyping applications, since 2009 the company has invested heavily in developing a proprietary binder jetting process for its own high volume application — the production of catalysts, along with proprietary industrial ceramic material development. 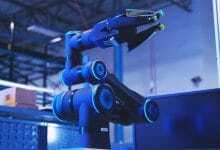 The company is currently scaling up this production application of 3D printing in-house as well as offering services and support outwards to industrial partners. 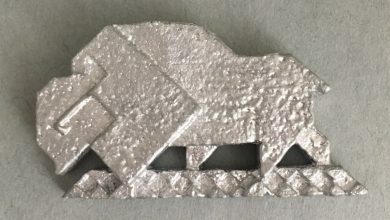 What is interesting about the JM application is that the company cites the ability to scale up the binder jetting process more easily than other additive manufacturing processes, with parts equal or better in strength than comparable production methods. Moreover, the characteristic often cited as a limitation of ceramic AM — porosity — is actually beneficial for the production of catalysts. 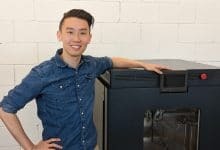 The material extrusion process is the most prolifically used 3D printing process courtesy of its adaptation for low-cost desktop systems right through to large frame industrial machines. The development of different extruders for a wide range of different materials also includes clay and ceramic-filled polymers. 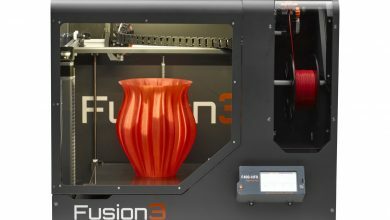 Other companies that have developed desktop extrusion systems for ceramic materials include Vorm VRIJ which has developed the LUTUM series of clay 3D printers, 3D Figo with the FFD 150H system, and, more recently, DeltaBots’ 3D Potterbot 7, and the Clay XYZ printer which was successfully funded on Kickstarter last month. Vorm VRIJ, a husband and wife team based in the Netherlands, has a similar remit to WASP, driven primarily by sustainability, but with an evident focus also on art and design. There are three 3D printers in the LUTUM range The LUTUM mini, with a single extruder and 45 x 44 x 45 cm build volume; the LUTUM MXL, with a build volume of 45 x 44 x 75 cm that comes standard with a single extruder but can be configured with a dual extruder; and the LUTUM dual (experimental) system with dual extruders for two colour printing. The 3D Potterbot 7 from DeltaBots prints ceramic products up to 36 inches in the Z axis with “thick clay,” a claim that sets it apart from comparable 3D printers according to the company. 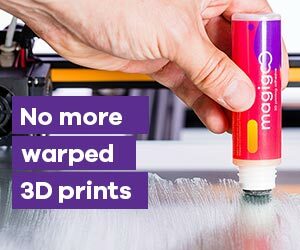 Once again this capability is enabled by the proprietary extruder, which features nozzles that can be sized between 1mm and 16 mm. 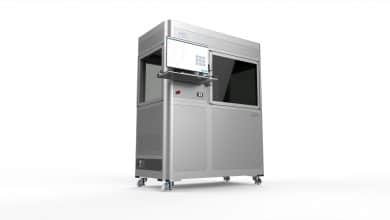 Figo-3D has developed the FFD 150H 3D printing system, where FFD is an acronym for Fused Feedstock Deposition. The premise of this system is that it can process both ceramic and metallic materials based on stand CIM and MIM stock, according to the company. The build volume for the FFD 150 H is 15 x 15 x 12 cm. As the originator of the SLA process, 3D Systems unsurprisingly offers a range of ceramic filled SLA resins. 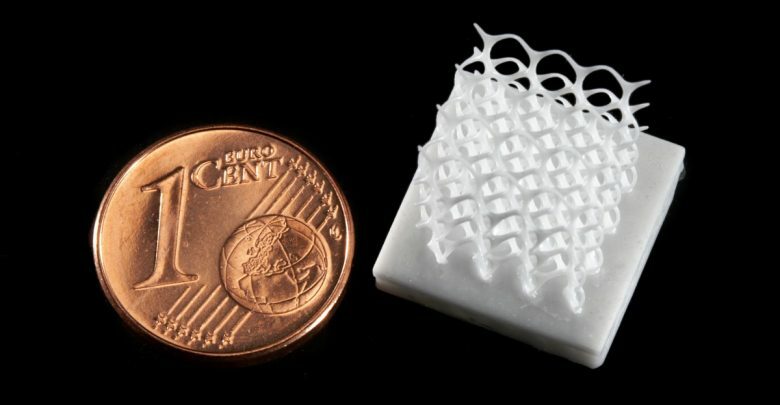 3D Ceram, a company based in France, has developed a hardware system specifically for 3D printing photocurable ceramic paste materials (alumina, zirconia or hydroxyapatite (HA)). 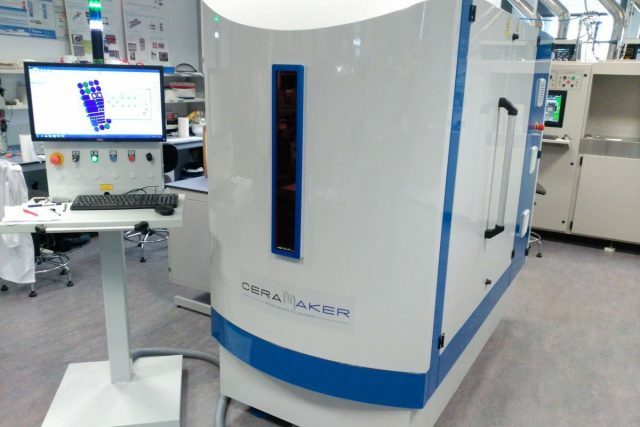 The Ceramaker 900 system is both offered for sale and as a service and has a build volume of 30 x 30 x 11 cm with a resolution down to 25 microns. 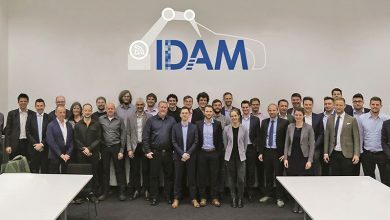 Like 3D Ceram, ADMATEC in the Netherlands developed proprietary hardware based on its ADMAFLEX technology for the production of highly dense ceramic components using the DLP process and filled resins (Alumina / Zirconia / Fused Silica). Claiming densities > than 99%, this process was originally (and continues to be) offered as a service, but since 2016 has been available for purchase in the form of the ADMAFLEX 130 system. 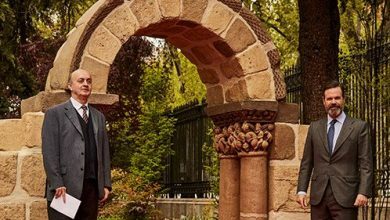 Lithoz, based in Austria, has a similar background too, in what is a developing historical pattern for 3D printing ceramic companies. In this case, however, Lithoz focuses on the entire value chain of ceramic manufacturing including hardware, software, specifically developed ceramic materials and services. The proprietary Lithoz AM process for high-performance ceramics is called Lithography-based Ceramic Manufacturing (LCM) and uses technical, high-performance ceramic materials to produce parts with the same material properties as conventionally formed parts, according to the company. The commercialization of the process was the result of a project initiated in 2006 at the TU Vienna. In terms of process innovation, Israel based XJet is close to commercializing a direct Ceramic Inkjet Printing system based on its proprietary NanoParticle Jetting technology. Essentially, this process jets ultra-thin layers of droplets containing ceramic nanoparticles, which are deposited onto the system build-tray, producing ceramic parts directly as the dispersion liquid evaporates due to the extremely high temperatures of the process. Interestingly, I learned that a primary driver for XJet to move into ceramics came from the dental industry, which will likely be a dominant application. 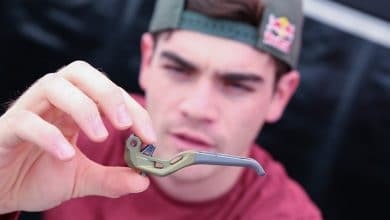 Check out Part 2 of this article, where Rachel explores the leading materials, services and applications that are breaking through the next 3D printing material frontier.